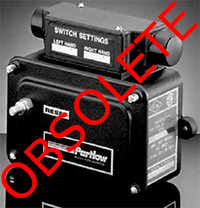 M&M Control Service carries all Partlow products, not just electronic products. 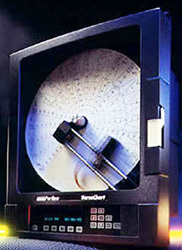 Products in stock include: Circular Chart Recorders, Pens, Paper, Controls, Gas Valves and parts. Buy from an authorized service provider and distributor only. We will meet or beat any written price. Single-loop controllers are also often referred to as front-of-panel (FTP) controllers. These controllers provide a clear display on the front of the controller which is used to set up the controller and make program changes. Limit controllers should be used for processes where there is a safety or quality requirement to protect a product or appliance from damage caused by excessive temperatures. Limit devices are used in process control applications where independent limit switching for over or under temperature is required. If the pre-set temperature limit is exceeded then the output switches to shut down the system. A limit controller is often used in conjunction with a loop controller. It will generally accept a variety of inputs such as thermocouple, RTD, or process inputs, then allowing for high or low temperature inputs to be set. Limit controllers are used in a variety of applications, particularly industrial ovens and furnaces applications as well as by the life science industry. 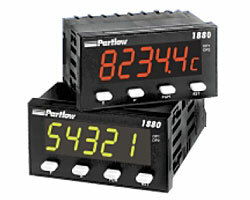 The range of indicators by Partlow can be used to display temperature as well as other process information such as pressure, flow and humidity. The indicators are available in a variety of panel format sizes. Most application requirements can be met by the flexible options available. Some indicators can also retransmit current process data to other field devices. When should you use a recorder or data acquisition tool? A data recorder should be used in a process where the temperature or process profile is generated by logging over a period of time. This is often required for regulation and certification purposes and/or used for analysis and intelligence regarding an application's efficiency. Typical Usage and Benefits: Recorders and data loggers are used in a variety of process applications, particularly heat treatment, extrusion and life sciences. Paperless and Chart Recorders Sold by M&M Control Service: The range of recorders offered can be used in the majority of applications. Partlow's self-operating, throttling gas control valves have been used in a wide variety of applications for over 60 years. They require no power. They provide smooth proportional temperature control for a variety of mobile and stationary applications including air and liquid tank heaters, ovens, grain dryers, and molten metal operations. All gas controls utilize the Piston Pak thermal sensing elements. The indicating mechanical temperature controllers are self-operating, requiring no operating power. On-off controllers are available with one or two switches, for heating, cooling, or heat-cool applications. Proportional units are for use with position proportioning motors, pneumatic devices, or provide time proportioning outputs. Some controllers have dual setpoints for alarming or auxiliary heating. 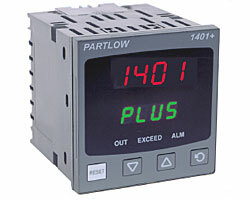 The mechanical, non-indicating, temperature controllers are self-operating, on-off controllers for use in a wide variety of applications. They provide simple control and require no operating power. Obsolete Product . . . 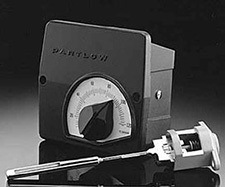 The non-indicating Partlow mechanical temperature limit devices are self-operating, requiring no operating power. Some include sensing element failure protection. Most are set at the factory, but field adjustable versions are available. Some include indicator lights. All of these non-indicating high temperature limit devices can be made tamperproof. 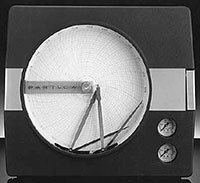 One and two pen, 10" circular chart, industrial temperature recorders are available. Instruments equipped with spring wound chart drives require no operating power, making them excellent choices for many applications. Recorders are available with the same types of control capability as available on the mechanical controllers, and can be also used for alarming. 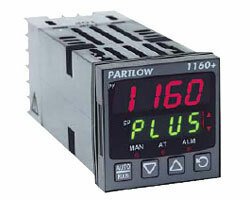 Partlow is the leader in 8" recorders for the refrigerated transport industry.